Customer engagement is more strategic than just running an email campaign. Proactively communicating with prospects in a timely, personalised and contextual way is good business. And when you extend an outbound strategy across multiple automated and agent-assisted outbound channels, the results can be great. If you’re struggling to keep existing and prospective customers informed over their preferred channels, it’s probably frustrating for them, too. 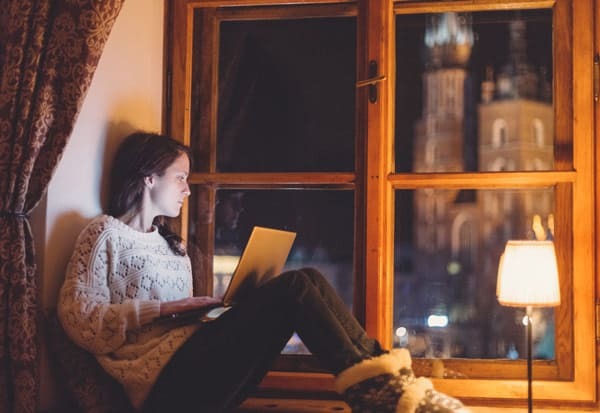 Existing customers have unmet expectations for updates on their accounts and the products they use. And when complications arise, they’ll default to contact centre support. New leads are even less likely to convert when you’re unable to identify them for targeted campaigns. Build outbound capabilities that turn leads into happy, loyal customers. The human touch is a powerful differentiator for businesses, but not when it’s wasted on time-consuming and outdated methods of dialling or returns the wrong contacts. Predictive pacing algorithms take automated dialling to a new level. Predictive dialling accurately predicts agent availability, optimally paces outbound volume and filters out unproductive calls, such as voicemail, busy signals and disconnected numbers. Contact centres that are new to predictive dialling see huge productivity gains when they free up agents’ time from unproductive contacts. Those agents instead connect with the right customers automatically. Increasing actual talk time with contacts means agent use their time more effectively and customers have a better experience with more personal attention. Proactive communications create long-lasting opportunities and decrease the volume of inbound calls to your contact centre. When you send highly personalised, timely and relevant notifications through your customer’s preferred channel, you create effortless interactions and improve engagement. When done properly, notifications about important alerts and updates can save agent time. Proactively communicate with your customers in a timely, personalised and contextual way. When you anticipate customer needs and solve their problems, you’ll forge lifelong relationships. Build an outbound strategy across automated and agent-assisted outbound channels to pre-empt inbound contacts, reduce customer churn and drive incremental revenue opportunities. You’ll gain even more efficiency by letting customers complete transactions through automated payment options. Then, if your customers want to speak with an agent at any point during a self-service interaction, they have a path to escalate to an agent. Use predictive dialling to target the right customers and streamline interactions. Automate notifications to save time and keep customers informed. Keep customers engaged with proactive callback. Being able to seamlessly blend interactions, pass context across all channels and cater to today’s mobile consumer frees your contact centre from single-channel communication silos and lets you reap rewards from omnichannel engagement. For example, you can design some outbound campaigns to drive high-value inbound calls into the contact centre. At the same time, you can create other outbound campaigns to deflect avoidable inbound calls by proactively providing information, managing customer expectations and eliminating a customer’s need to contact the organisation. When you communicate with prospects and existing customers in a proactive, timely, personalised and contextual way, it is good for business. And when this becomes part of your outbound strategy across multiple, automated outbound channels, the results are impressive. When you struggle to keep target audiences informed over their preferred channels, you miss opportunities to up-sell products and services. Stack the numbers in your favour—use automation to prioritise and distribute leads based on their value and timeliness, and watch conversion rates rise. You’ll also build valuable new opportunities and loyalty. Automating personalised communications adds new revenue opportunities without tying up sales reps—and it’s convenient for your prospects. Consider the revenue-generating possibilities around retail promotions, personalised discounts, discount vouchers and loyalty schemes. When you target the right people over their preferred channels, you build sales opportunities with greater potential for conversions. By automating notifications, you resolve issues and pre-empt inbound contacts, increase low-effort interactions and drive incremental revenue opportunities. Do this correctly and you’ll free up sales reps to focus on other tasks. Increase online sales conversions and revenue by offering a callback based on the individual behaviour of website visitors. For example, when a prospect triggers an engagement rule, monitor their behaviour and reach out. If they fill out identifying data, initiate a callback. Use the power of human touch to your selling advantage. Let go of time-consuming and outdated methods of dialling and returning the wrong contacts. Predictive pacing algorithms get the pacing and contact level right. 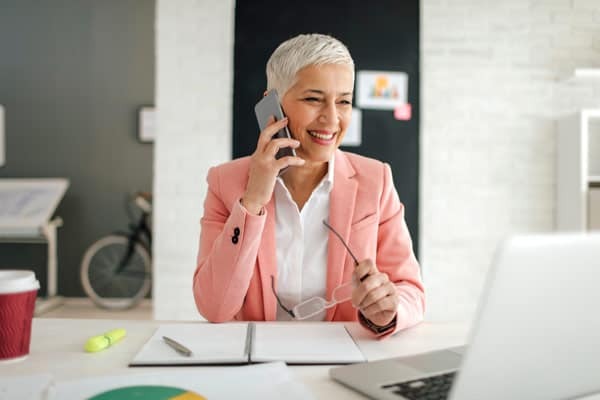 Predictive dialling accurately determines rep availability, optimally paces outbound volume and filters out unproductive calls, such as voicemail, busy signals and disconnected numbers. By increasing actual talk time with leads, sales reps use their time more effectively and increase revenue opportunities. Reduce administrative slowdowns when your sales and marketing tools are integrated into a single, agile and easy-to-use tool. This positions you to boost sales conversions through higher contact and response rates using multi-wave, multichannel campaigns that leverage both self-service and assisted service. For example, you can build a campaign strategy from a contact list that applies user preferences. As you gather responses, your knowledge base grows. Then you can leverage valuable, real-time insights to determine the right time to contact leads for better contact and response rates. The PureConnect™ platform puts you on the road to customer experience success by using the same software for both cloud and on-premises implementations. This makes a move to the cloud easy, intuitive and painless. Access features and tools that enable you to leverage existing telco and voice infrastructure, meet the most stringent security and compliance requirements, and decide how and where data is stored. Once enabled, your system operates on a single-tenant cloud that’s comprehensive, secure and customisable. You control the tools you use and when to perform upgrades, which lets you make the best choices for your business—and your customers. Get more from each call. This predictive dialler integrates with your customer interaction software to boost outbound dialling, elevate agent productivity and improve contact success rates. Dialling based on your agents’ skills and availability is a perfect option for state-based licensing. Be certain that the agent contacting your customers is fully informed and ready to facilitate a simple interaction. Comprehensive multi-site campaign management tools coordinate your outbound efforts across sites, and even internationally to increase the effectiveness of your distributed teams. With information on both inbound and outbound historical calls stored in a single system, you can utilise call blending to provide an integrated, personalised experience for each of your customers. When it comes to call scripting, it’s important to test and adjust based on script performance. You can use a web-based form designer to create, test and publish websites or campaign scripts for use with Interaction Dialler campaigns. Complying with US and international sales and collections regulations is a top concern for your business. By using “do not call” services and tools, Interaction Dialler helps you keep campaign compliance in check. Real-time connectivity to third-party Do Not Call (DNC) services, such as DNC.com (Contact Centre Compliance) and in-house DNC lists, further ensures regulatory compliance. Thousands of customer organisations—no matter their technology or architecture—rely on the Interaction Dialler solution. 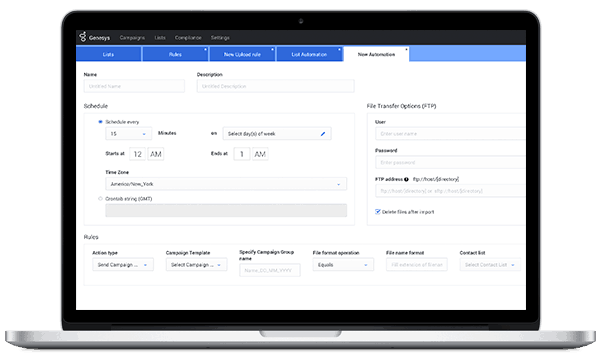 The PureConnect platform offers a complete SIP-based “all-software” architecture to support outbound campaigns in a VoIP environment with reduced IT complexity. Whether you choose to connect to legacy voice systems, replace your switches or continue using your existing phones, the PureConnect platform accommodates it. You could even eliminate desk phone hardware entirely with the built-in WebRTC softphone—all you need is data connectivity, a laptop or desktop computer and your favourite headset. Automating communications saves money and valuable time. In addition to handling critical business processes, automation is convenient. 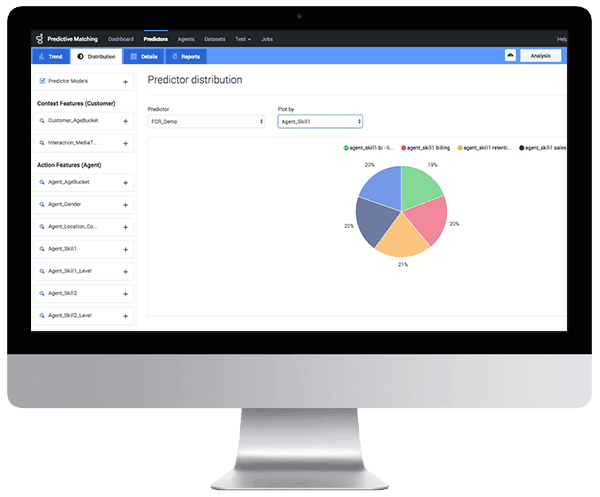 Consider automating fraud alerts, order confirmations, outage notifications, appointment reminders, bill payments, promotions or customer surveys. Automated dialling lets you leave timely and personalised voice messages and send email and text messages over your customers’ preferred channels. When you manage customer expectations, resolve issues and keep them informed, you pre-empt inbound contacts, increase customer satisfaction, reduce churn and drive incremental revenue. Take it a step further and let customers complete transactions through automated payment options. If the customer wishes to speak with an agent at any point during a self-service interaction, Genesys Outbound offers a path to escalate to an agent. To further improve your contact centre efficiency, Genesys Outbound supports blended agents. 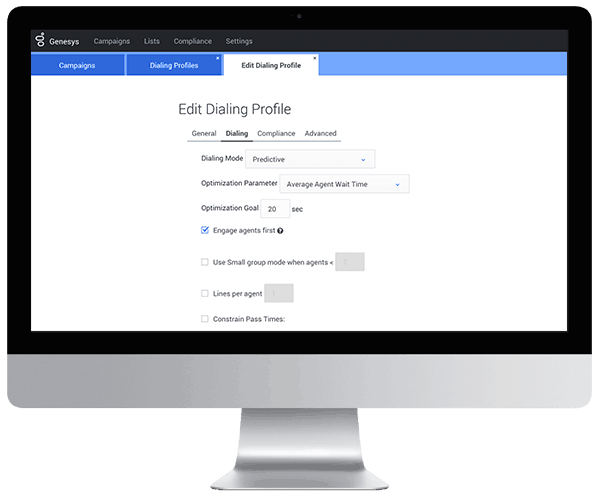 By blending inbound and outbound calls either to a specific agent group or to the entire population of agents, you can increase agent utilisation, reduce overall call wait times and smooth overall call volume. Your contact centre agents also can use text messaging and email to send on-demand messages to consumers during a call or to start a conversation. For example, schedule a service call by phone, then send a text-based reminder one day before the scheduled appointment. Plus, you can initiate outreach in one channel and expand to another channel if no response is received.